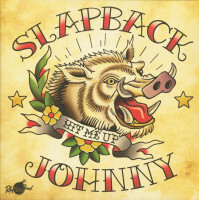 (Rhythm Bomb) 13 Tracks - Ecopack - Slapback Johnny is a band that works hard and rocks even harder. This dutch trio has quickly made a name for itself as an energetic live-band by touring extensively worldwide since starting in 2012 and will now finally release their full debut-album on Rhythm Bomb Records. 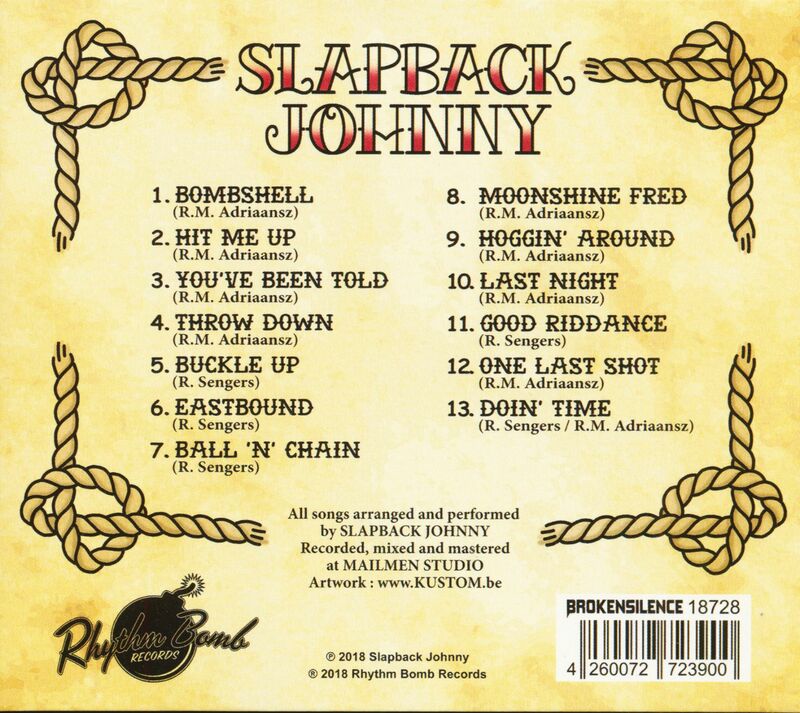 The album is a display of the full palette of the Johnny-sound. With hard hitting drums, pounding bass and flaming guitars as key ingredients. On this record the trio set out to release something that has its own distinct sound. 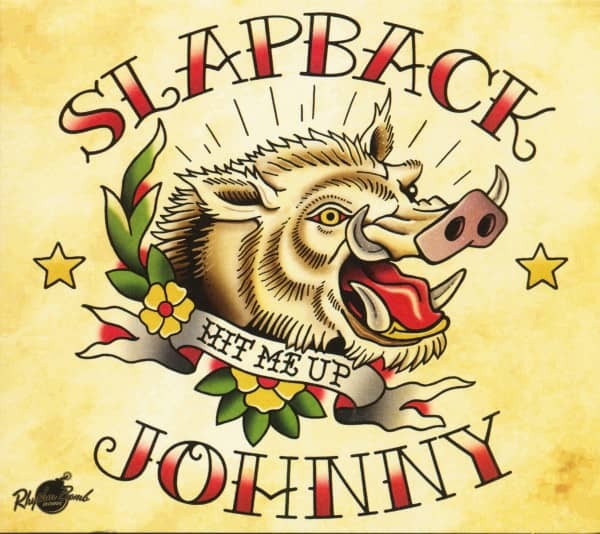 The songs incorporate influences of rockabilly, blues, rock ’n’ roll, hillbilly and swing on 13 original tracks while always staying recognisable as Slapback Johnny. Customer evaluation for "Hit Me Up (CD)"